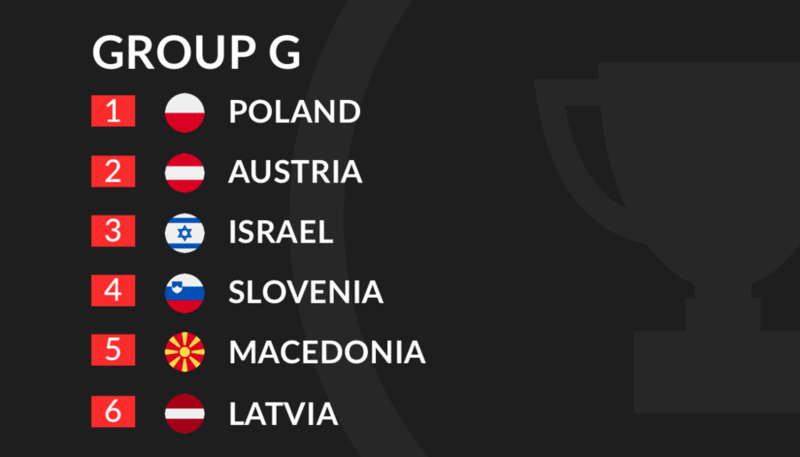 Euro 2020 Qualification Groups Outright Betting Tips with 46/1 Acca! 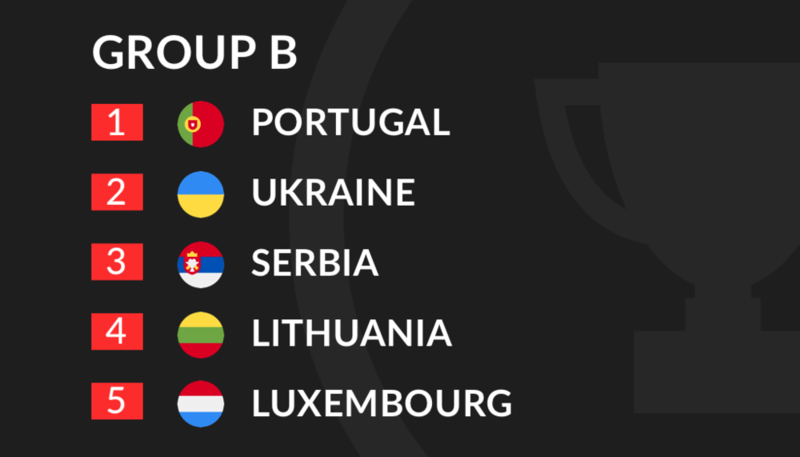 National teams across Europe can take their first steps towards competing at Euro 2020 this week, when they contest the first group matches of their qualification campaigns. In total, 24 spots are up for grabs in next year’s Finals and all 55 competing nations will be determined not to be past of the unsuccessful cluster of 31 teams who are destined to miss out. As always, the bookmakers have extensive outright group and qualification markets just waiting to be plundered. 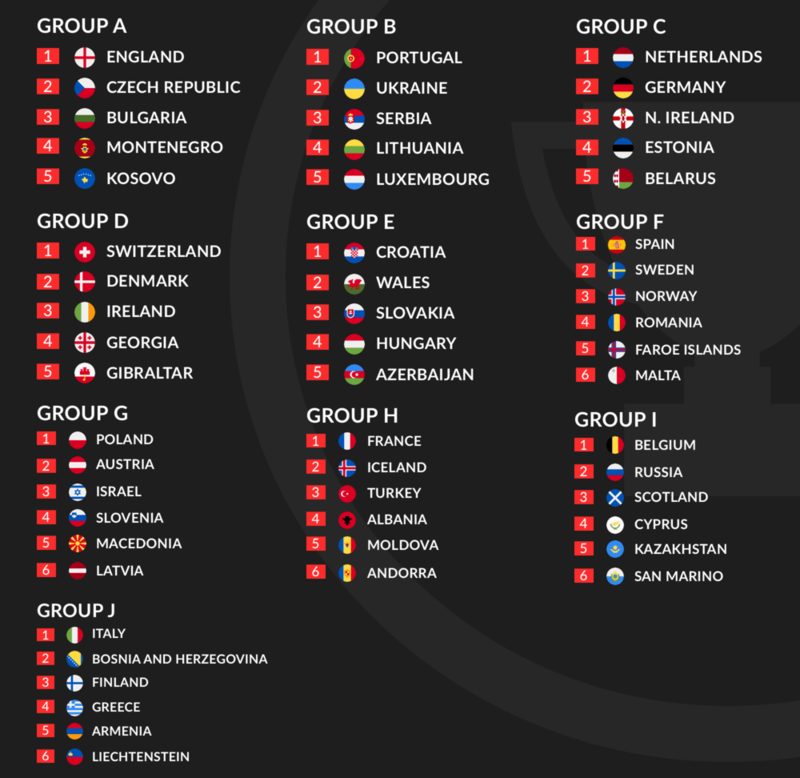 Check out our rundown of all 10 Euro 2020 Qualification Groups with outright betting tips and huge 46/1 accumulator below. Keep up to date with the latest international match previews, predictions and betting tips here. England have been made huge favourites to top Euro 2020 Qualification Group A and it’s easy to see why. The pool talent available to the World Cup semi-finalists is as deep as it’s been in a decade, and the Three Lions should have little trouble devouring an unintimidating collection of opponents. Really, the more compelling plotline should develop just below England, where the Czech Republic, Bulgaria, Montenegro and Kosovo will compete for the second qualification spot. 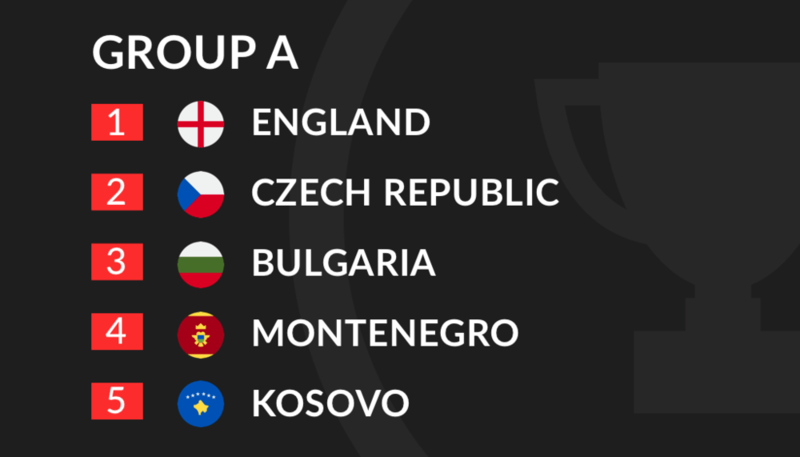 The Czech Republic and Bulgaria have been given the edge by the bookmakers, though emerging Montenegro and Kosovo teams have the potential to spring a surprise or two. Cristiano Ronaldo’s return to the Portuguese fold after a self-enforced 9-month absence from international football should ensure that the current European Champions top a tricky looking Group B with relative comfort. Ronaldo joins a new batch of blossoming talent in Nuno Santos’ squad, that includes Wolves Rúben Neves, defender Rúben Dias and highly-rated youngster João Félix, who is line to win his first senior cap this week (Read more about João Félix and other players hoping to make their international debuts this week here). Serbia and Ukraine look set to go head-to-head for the other automatic qualification spot, though the Serbians seem to have the edge over their Eastern European rivals in terms of quality. 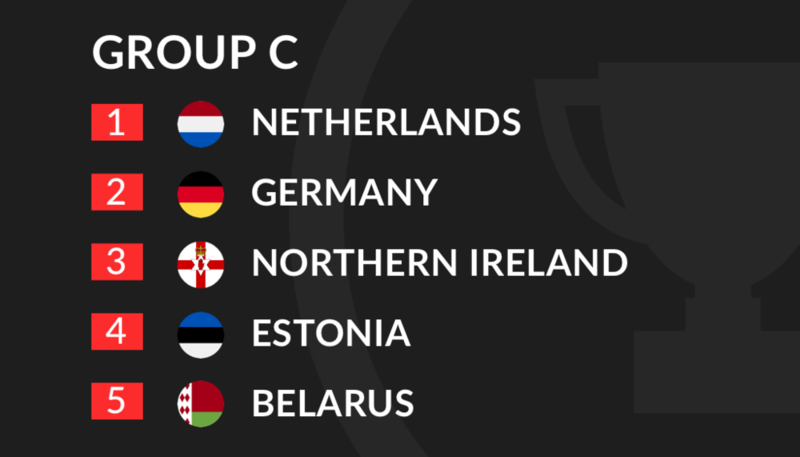 The draw for Euro 2020 qualification Group C set up a titanic tussle for top spot between traditional football enemies and bitter antagonists Germany and the Netherlands. Joachim Low’s side are going through a period of regeneration after a period of stagnation that culminated in Die Mannschaft finishing bottom of their Group at last summer’s World Cup. The Netherlands have a wonderful chance to take advantage of the German transition, and anchored by a central defensive pair of Matthijs de Ligt and Virgil van Dijk, the Oranje have the platform and talent to take top spot. Even if winning the group ultimately turns out to be beyond them, Germany will still expect to cruise to qualification past Northern Ireland, Belarus and Estonia. Read our match preview, predictions and betting tips for Germany’s friendly against Serbia here. 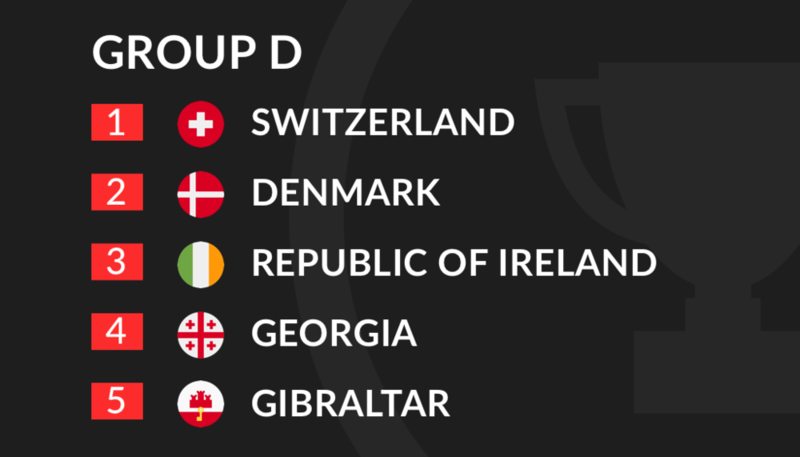 From the outset, Group D looks like a 3-way skirmish between Switzerland, Denmark and the Republic of Ireland for the section’s 2 automatic Euro 2020 qualification spots. Fresh from relatively successful World Cup 2018 campaigns, where both nations reached the competition’s Last 16, Switzerland and Denmark look to be starting from a much stronger position than the Republic of Ireland. With the majority of Mick McCarthy’s squad now playing in slightly below top-level leagues, on paper at least, Ireland appear to lack the quality required to drag themselves over the line. Check out our Kosovo vs Denmark match preview with betting tips and predictions here. 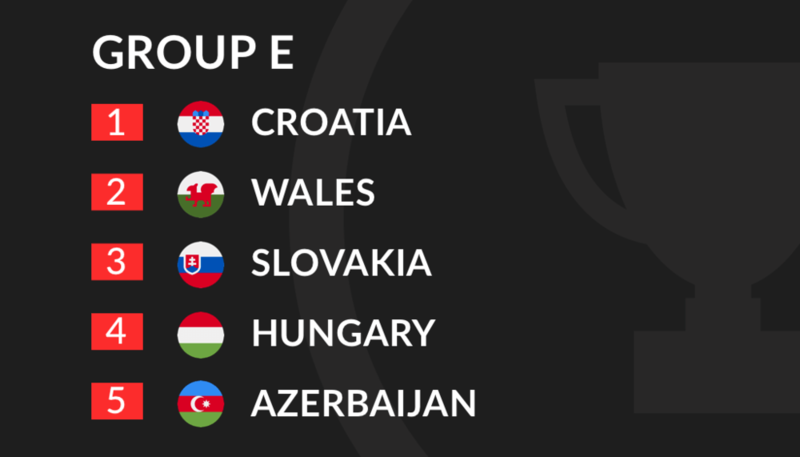 Beaten World Cup Finalists Croatia and Euro 2016 Semi Finalists Wales are the bookies early front-runners to make it out of a potentially compelling Group E.
The Croatians will have to negotiate their qualification campaign without the help of World Cup heroes and long-serving stalwarts Danijel Subasic, Vedran Corluka and Mario Mandzukic who have all retired, though the Vatreni have retained all of their other high-profile stars including Luka Modric, Ivan Rakitić and Ivan Perišić. Wales have a number of exciting young payers in their ranks, though Real Madrid superstar Gareth Bale remains integral to their chances of success. If the 29-year old is fit and available, qualification looks almost certain, however, a dangerous looking Slovakia side will be waiting to pounce should a Bale-less Wales flounder. Read our Wales vs Trinidad & Tobago match preview with predictions and 100% free betting tips here. 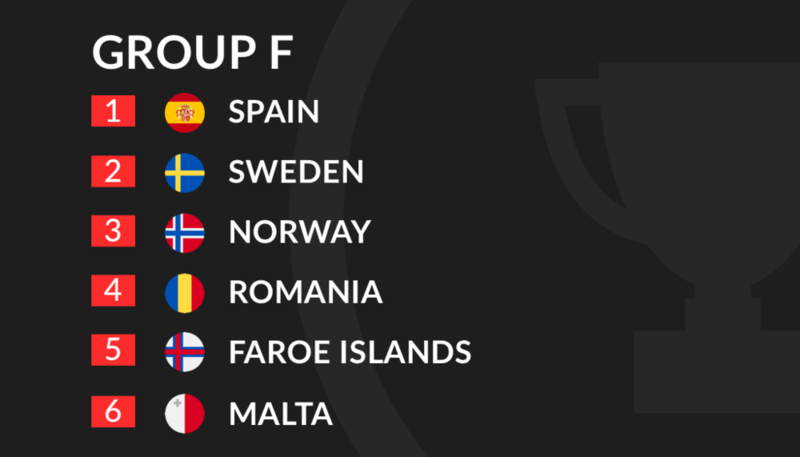 Spain and Sweden are undoubtedly the stand-out teams in Group F ahead of the section’s first round of qualification fixtures this week. After exiting Euro 2016 and World Cup 2018 at the Last 16 stage, more than a few cracks have started to appear in Spain’s reputation as an international powerhouse. Spanish supporters will be the first to admit that their squad is probably the weakest it has been in quite a while, though La Furia Roja should still have enough to take top spot in Group F ahead of the rest. Just below Spain, neutrals could be treated to a serious Scandinavian scrap between Norway and Sweden for second place. Norway have a squad sprinkled with potential, though having qualified for each of the last 5 European Championships, Sweden have the edge in terms of top-level knowhow. That experience could be enough to push them ahead of the Norwegians in the qualification stakes. Poland and Austria have been priced as clear favourites to emerge from Euro 2020 Qualification Group G, though Slovenia and Israel will be determined to muddy the waters as much as possible. Poland could conceivably have one of the continent’s most devastating double-acts in attack if Bayern Munich’s Robert Lewandowski can develop an early understanding with AC Milan star Krzysztof Piątek. The strike pairs’ supporting cast is laced with quality too, with Piotr Zieliński, Karol Linetty, Arkadiusz Milik, Jan Bednarek all making great strides at club level over the past 12 months. Austria look the best equipped team to join Poland at Euro 2020, and we expect Franco Foda’s improving young side to finish second. Read our Austria vs Poland match preview complete with predictions and betting tips here. France have been made 1/6 favourites by bookmakers to finish at the summit of Group H – only England have been priced at shorter odds to top a Euro 2020 Qualification section. The World Cup champions have an incredibly talented squad packed to bursting with top quality options for Didier Deschamps to choose from, and qualification from Group H should be a relatively easy task for Les Bleus. 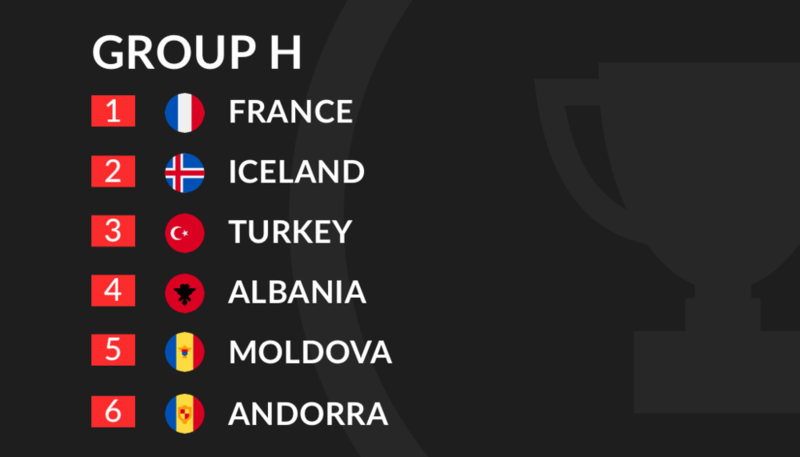 Beyond France, the spread of quality in the group looks quite thin, with Iceland and Turkey the most likely candidates to finish in second place. Iceland and Turkey share a qualification group for the second time in a row having been paired together in their World Cup section in 2016. Iceland beat Turkey in both of their meetings with them during that qualification campaign, and there is every chance that they could repeat the trick this time around. Click here to read our Moldova vs France match preview for more betting tips and predictions. Belgium look a clear class above the rest of the teams in Group I and with the momentum they gained from last summer’s 3rd place World Cup finish behind them, they should be able to top the section relatively effortlessly. 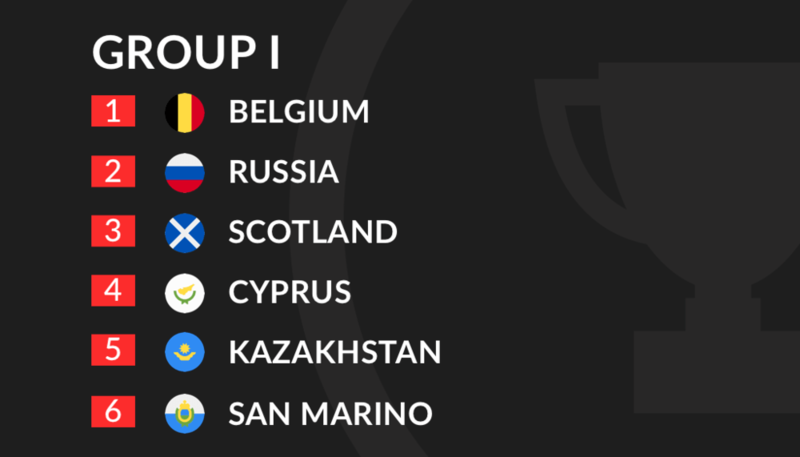 World Cup hosts and tournament surprise package Russia will expect to take the runners up spot in Group I, with Scotland, Cyprus, Kazakhstan and San Marino left to feed off the scraps behind them. Of the latter aforementioned quartet, Scotland have the greatest chance of mounting a qualification challenge from the outside, though their 0-4 defeat at home to Belgium in a friendly last September illustrated the chasm that exists between them and the level required to succeed. Read our detailed Belgium vs Russia match preview, predictions and betting tips here. Having missed a World Cup Finals for the first time since 1958, Italy had to watch Russia 2018 from a distance last summer. Their failure to reach the tournament sparked a lengthy period of Azzuri introspection, and Italy are expected to attack their Euro 2020 qualification campaign with new ideas and fresh faces. 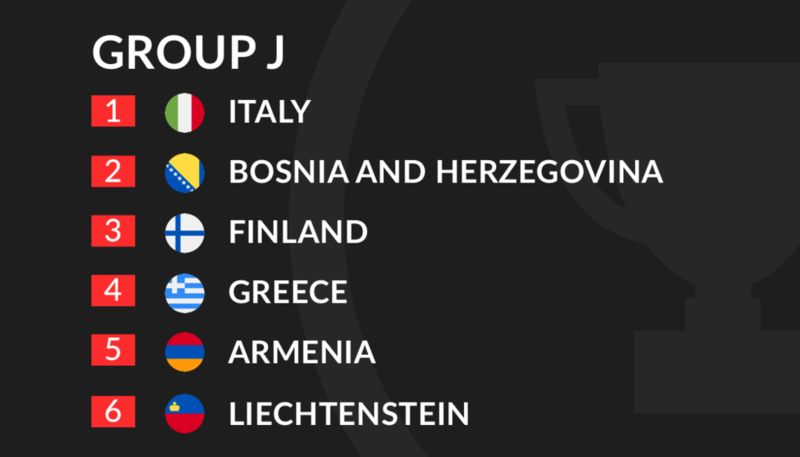 The Italians share a complex looking group with Bosnia & Herzegovina, Finland, Greece, Armenia and Liechtenstein, and while Italy and the Bosnians are priced to qualify, there are certain to be bumps along the road. A 10-fold accumulator featuring our group winners selections above comes in at a huge 46/1 with bet365!! You can back it by clicking the banner below. Good luck! Categories: Betting Strategy, Blog, and Football. 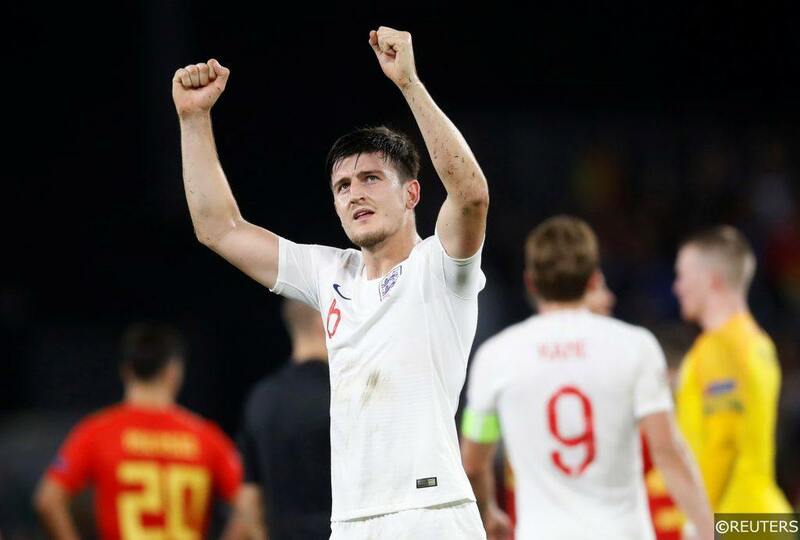 Tags: Euro 2020, European Championship, Euros qualifying, and international football betting tips. Sports: Football.